(1990), born in Hamburg, works mostly dramaturgically in different constellations for theatre projects. She engages in academic work, where her interests lie in the fields of aesthetics and political philosophy as well as the overlaps between theory and art. She is currently finishing MA programs in Philosophy and Applied Theatre Studies in Berlin and Giessen. Who Wants a Theatre Company and Doesn’t Have One? 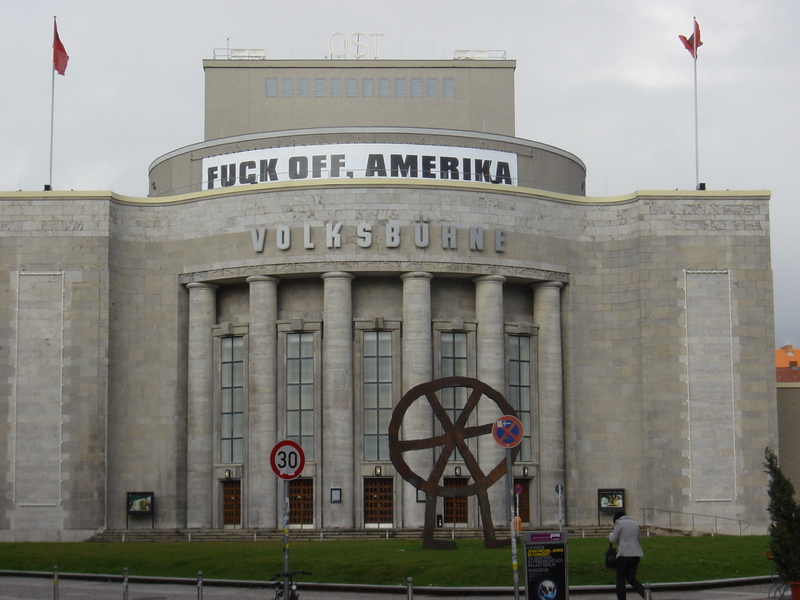 Taking a close look at the debate about the replacement of Frank Castorf as director of the Volksbühne am Rosa-Luxemburg-Platz in Berlin, I will comment on different aspects of the legacy and potentials of institutional theatre. The relation between representational politics of institutions and the claim for a revolutionary attitude will be discussed as two important but very different demands that could be directed towards arts institutions. Finally, I argue why a reflection on the relations of production from an aesthetic perspective might be a way to sustain the political legitimacy of a theatre company.